Out of the many beach resorts in Subic-Olongapo area, The Cliff Royale stands out - literally and figuratively. True to its name, The Cliff Resort is situated atop a cliff in Barangay Barretto, Olongapo. Here, one can enjoy the sea in two ways: from a vantage point in the main resort area or up close by brisk walk down a winding path. 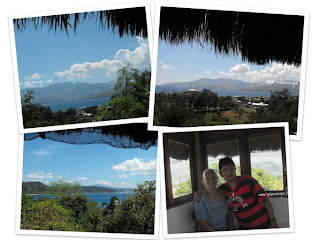 Unlike most beach resorts in this part of Subic Bay area, The Cliff provides a peaceful getaway considering it's only a stone's throw away from the infamous red light district. That said, its towering location gives it a one of a kind exclusivity that makes one feel like it's in another dimension. Private car: Drive towards the direction of Zambales. You may pass through Subic Bay Freeport Zone and exit at the Kalaklan bridge. Once you pass by Ocean View resort and the night clubs, be on the lookout the the entrance to The Cliff Beach Resort. Option A. Take a bus going to Olongapo City and ride a jeep* going to Subic Town proper (this is outside SBMA). Tell the driver to drop you off at The Cliff in Barangay Barretto. Option B. Take a bus headed to Zambales towns (Iba, San Antonio, Sta Cruz, etc.). Ask the driver to drop you off at The Cliff in Barangay Barretto. There's also the option of taking a tricycle* from Olongapo City. If you are not familiar with the area, better rent a car with chauffeur to avoid any hassle. You may contact me for car rental arrangements. The resort entrance is unassuming. Upon entering the premises, you will find yourself on a parking lot with no hint of the resort's structures. To reach the main area, one has to either climb up a few steps or walk a slightly steep inclined path. There are 3 building complexes dedicated to accommodate guests. Then there's a round dining/activity hall and 2 big pavillions for holding large events such as a wedding. There are also at least 3 garden setting areas where one can also hold small functions and gatherings. A swimming pool that overlooks Subic bay is the centerpiece of this 1-hectare land. One will feel closer to nature with all the flowers and trees in the surroundings. The owner's love for gardening shows in the exquisite selection of plants, particularly the ones around the green and peach buildings. Access to the beach is through a cemented winding path, not more than a 5 minute walk down the mountain peninsula. The beach area is secluded from other beach resorts as it is bounded by rock formations. Even so, locals arriving in their own boats are free to use it since it's still government property. There are trash and other debris on the beach area, which may have been carried there by the sea or left by other beach goers. Other than that, the gray sand and the calm waters still look inviting on a hot summer day. Food should not be a problem because there are no restrictions in bringing your own food in the resort. There is a personal refrigerator in every room to keep some of your homemade food fresh. I noticed a couple of grilling stations but I'm not sure if they can be utilized by the guests. In any case, you may purchase fresh sea bounty from the peddlers in the beach and have them cooked by the resort staff for a fee. Take my word when I say that they can cook delicious food, even for big groups! Cold refreshments are sold in the green building lobby, just ask one of the friendly staff for a price list. In the few times our family went here, we have tried 3 of their rooms, namely: the basement dorm, the master bedroom with loft and the 2nd floor dorm cottage. For a couple or a small family, I recommend getting the master bedroom with loft. 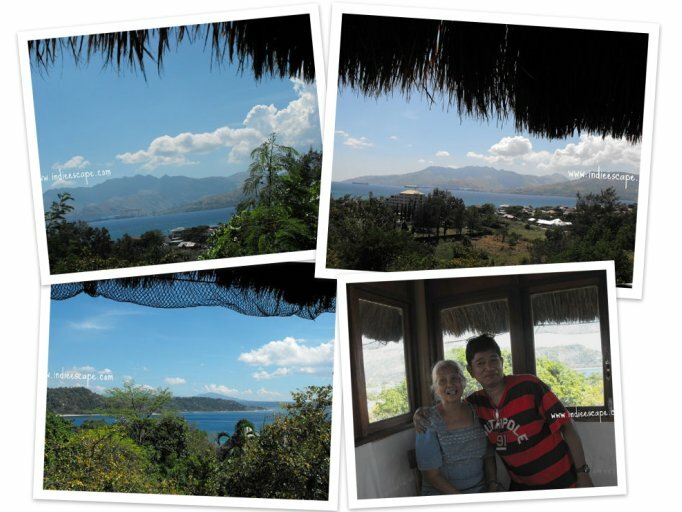 It features a 360-degree panoramic window in its attic, where guests can view Subic bay and the surrounding Olongapo towns. The dorm type rooms are great for big families or groups. You can always request for an additional mattress to squeeze everybody in one room. All rooms are air-conditioned which is great for warm summer nights. I prefer to open the wide windows, which all the rooms have, for a natural breeze and lighting during the daytime. Native materials and accents fill the rooms which give it a rustic feel. It's like visiting your grandma's ancestral home. The room furnishings were meticulously handpicked by the owner from her trips around the Philippines. Everything is clean and well-kept, from the hardwoord floors to the bed sheets. The bathroom is very clean and stocked with shampoo and soap. I like the al-fresco open-window (with curtain) shower because it adds to the provincial feel of taking a bath, while still enjoying a hot and cold shower. Our family personally knows one of the owners. She always gets out of her way to give a simple tour of the place and make each guest feel at home. All the staff are courteous and quick to respond to the needs of the guests. The last time we were there, one of our companions broke a glass in the bathroom. Housekeeping immediately came to clean the place up.Even the security guard was nice enough to open the gate for us when we arrived late from bar hopping in SBMA. The Cliff Royale is a perfect getaway any season of the year. 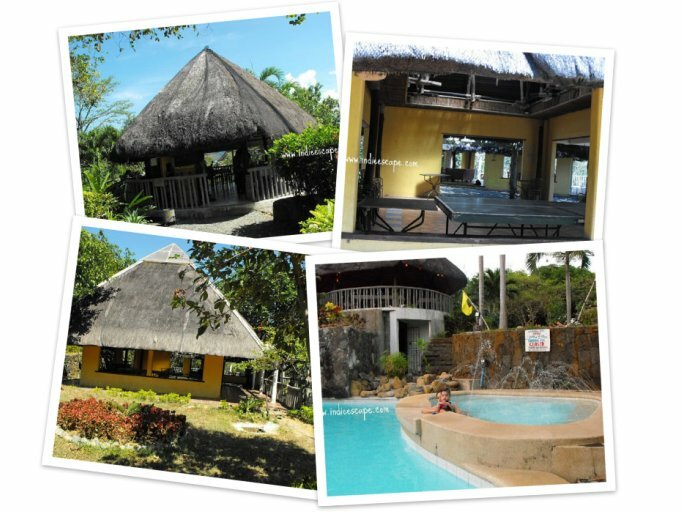 It's laid back rustic atmosphere is what one wants after experiencing the loud crowds of other beach resorts this side of Olongapo. *Tricycle - 3-wheeled passenger motorcycle. *Jeep - Passenger vehicle. Don't worry, you won't miss it. Nice! Love the interiors... Will keep this in mind, looks perfect for the whole family. Sorry, but the (former) owner pictured here had passed away. She was my main contact on this resort. I no longer have new contact details..